This coming Chinese New Year, many of us will be indulging with lots of feasting and enjoying the delicacies. It’s time to think of how we can stay healthy, keep fit and not gain weight during this merry festive season. Natalie Dau, 45, is a fitness celebrity, who is the founder and CEO of The Daily Escape. She has lived in Asia for 15 years and The Daily Escape was launched with the aim to motivate and empower people to improve their daily lives through small, positive changes. Delivering personalised and localised information and tools centred on the mind, body and soul from fitness and nutrition to leisure and travel in Asia, it is also a daily go to for inspiration. Natalie Dau is a prime example and role model of practicing what she preaches. As an athlete, trainer, brand ambassador, fitness influencer, writer, speaker, entrepreneur and mother, she manages to juggle all her respective roles in career, sports and family effectively. She has recently launched The 40’s Project for people 40 and above which she identifies with being in the same category and also tailors workouts for corporate clients including hotel properties where their gyms are under utilised. Her focus is on Asia where she spent the last 15 years, 14 of which were in Singapore. The information and tools offer a 360 approach and is backed by her personal experience and expertise. She has worked with sports scientists for some of the programmes which have also been tried and tested. Natalie has developed customised programmes and localised content for all levels from people new to fitness, all the way to athletes taking it to the next level. Her programmes are suited for homemakers to travelling mums. 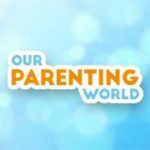 Our Parenting World (OPW) team is pleased to be able to interview Natalie Dau (ND) to find out more. 1) Please share with us more about your background and what made you decide to set up The Daily Escape? ND: I realised there was a huge gap in the Asian market to help people make healthy daily changes to their lives. So I followed my passion for health and fitness and gave up my 20 year corporate career as it was time to use my skills in other, more beneficial ways. 2) What’s unique about The Daily Escape and what are some of the programmes that you would like to highlight especially those that will benefit anyone with busy schedules. ND: The Daily Escape is where you can visit to get all the information you need on health and fitness – delivered in many different forms. We focus on bite-sized pieces of information whether it is an article, a how-to video or a podcast – it’s all about just dedicating 10 minutes a day for yourself to feel better. Everyone leads such busy lives that information has to be efficient, as does workout programmes to make people ‘stick’ to them. The ones I have developed are about having the flexibility to do them anytime and anywhere. 3) What are some of the challenges you faced to become who you are today? ND: I am no different from anyone else, everyone has their ups and downs, but what sets people apart is how they deal with challenges. I have had health issues over the last 10 years, but I don’t use it as an excuse to not do anything, rather I find a way to manage it and adapt. There is always someone worse off, so I am thankful for everyday and live in the present. 4) What’s your advice for those who have not taken their fitness seriously but would like to start now and especially for those who are over 40? ND: You need to get moving now! The older you get, the harder it is. I always say just start moving… find something you enjoy, build on it and then challenge yourself. You don’t need to try and run a marathon in the first month, but you should find some sort of fitness activity that you can do several times a week. With my “40’s Project” programme, it’s about doing something active every day, but at a level you can manage. 5) Do you have any advices and tips for anyone who would like to stay young, feel fabulous, to be more healthy and energetic? ND: I find like-minded people helps keep you motivated and young. Join a group, meet new people and don’t be scared to get out of your comfort zone – this is key. I have trained so many people who have turned their lives around through discovering fitness and are now life-long friends. Whether your thing is Spartan Races, running, tennis, hiking, going to the gym or zumba, there are always others with the same interest. 6) What’s your advice on how an individual can keep fit and healthy on a regular basis? ND: Consistency is key. There is nothing worse than starting out exercising and eating well for 5 days straight, then you are too sore to do anything and before you know it it’s been a week and you have done nothing and are back to a bad diet. A little bit of soreness is good, but not so much that it stops you from functioning normally. Planning is important – know what your week looks like in advance so you have time to set aside for exercise and think about what you are going to eat. 7) You are an inspiration to many! Please share with us how do you manage to juggle with so many roles and what inspired you to achieve your goals? ND: For me, it’s discipline and planning. I am always up early in the morning to get an exercise session in (before everyone wakes up) and then I make it a priority to try and do something else later in the day. I am at an age where I am happy to give up other things to spend my time to be fit and healthy, so it’s about deciding what your priorities are. My goal is to be the best possible version of myself and I try to instil that in my daughter. So whatever it is I am doing I make sure I enjoy the process. I am always learning and pushing harder. And age should never be an excuse either. At almost 46 years old I am always trying new things out of my comfort zone and I encourage my daughter to do so as well. 8) Diet plays an important role in the fitness level of an individual. What are your views on this statement? ND: I think diet is about 80% of what health and fitness is about – the saying “you can’t out exercise a bad diet” is so true. With my programmes I focus on trying not to change everything in your life in one day, it’s the small wins. As it’s about making it your lifestyle – it’s a long term approach to food, not a 14 day diet approach. 9) It is common for many to have ambitious fitness goals at the start of the year which remains as a new goal in the following years to come. How can a procrastinator be motivated to persevere through their goals? ND: Don’t set unrealistic goals first and foremost! This is why most people don’t achieve them as they are just too big. Set small ones – even down to daily ones if need be – and before you know it you have reached a bigger one. Everyone wants to feel like they are winning, so this is a sure-fire way to succeed. 10) What’s your advice on parenting in this digital age? ND: My mantra is always to lead by example – so it is super important to be a role model for your children to encourage them to lead a healthy life and this starts with the parent doing so. I encourage my daughter to do all sorts of sports (she does athletics, Brazilian Jiu Jitsu, basketball, swimming, parkour) to explore and have fun. Also we have educated her on how to eat healthy, so she can make better food choices. 11) What’s your next plan/project? ND: 2018 is going to be a fantastic year, I am super excited for what is lined up ahead. I am continuing my sponsorship with Reebok, doing a lot more collaboration with amazing brands and government organisations. I am training for the CrossFit Open again, and getting completely out of my comfort zone by changing up my training and focusing on track athletics this year for the Masters. 12) Lastly, do you have anything that you would like to add on and share with our readers on The Daily Escape and your upcoming programmes? Thank you Natalie Dau for taking our interview! To find out more about Natalie Dau, The Daily Escape and its programmes, please visit https://programs.thedailyescape.com, don’t forget to use the code TDEPR18 to sign up for the 7 day challenge programme for free for the 1st 30 people. Hurry, don’t miss it! Pingback: Get Fit to the Core at Oasia Hotel Downtown’s 2nd Birthday Party!